This page contains tips on dryer vent cleaning. Various details provided. People circulating and breathing in confined spaces may suffer from allergies due to the indoor air contaminants caused by dirty air ducts. Specialists at Air Duct Cleaning Burlingame recommend regular cleaning, including air filter cleaning, for the removal of pathogens. 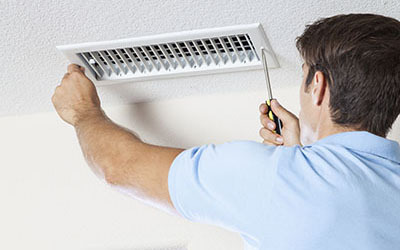 HVAC and air duct maintenance twice a year, preferably in spring and autumn, will increase productivity, reduce energy costs and eliminate allergies. Most days of the year, your house is breathing through the air ducts and sudden bad odors, poor indoor air quality and allergies should alert and urge you to do air duct cleaning at once. 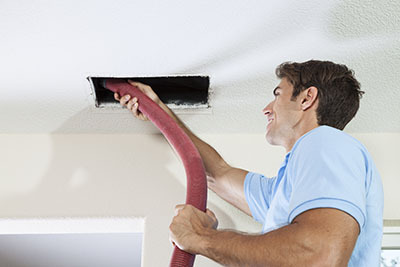 The specialists at Air Duct Cleaning Burlingame would recommend checking the condition of the ducts, too. 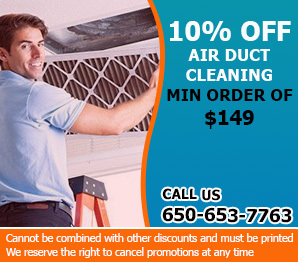 Air duct seal repair can save you money from energy lost. If mold is present inside, it has to be removed completely in the first place. The next step involves eliminating the causes of the problem. The most common ones are air leaks and holes. They should be sealed with a specially designed sealant. If the moisture has come from the drain pans, they should be fixed, replaced or adjusted. If condensation is responsible for the mold, the ducts should be insulated.